Check out the new bling I got this week from Cate & Chloe for a review. Even better it was in perfect timing to contribute to a silent action for one of the charities I support, Divine Water. Don't forget to enter the Giveaway! About the Cate & Chloe VIP Membership Program! 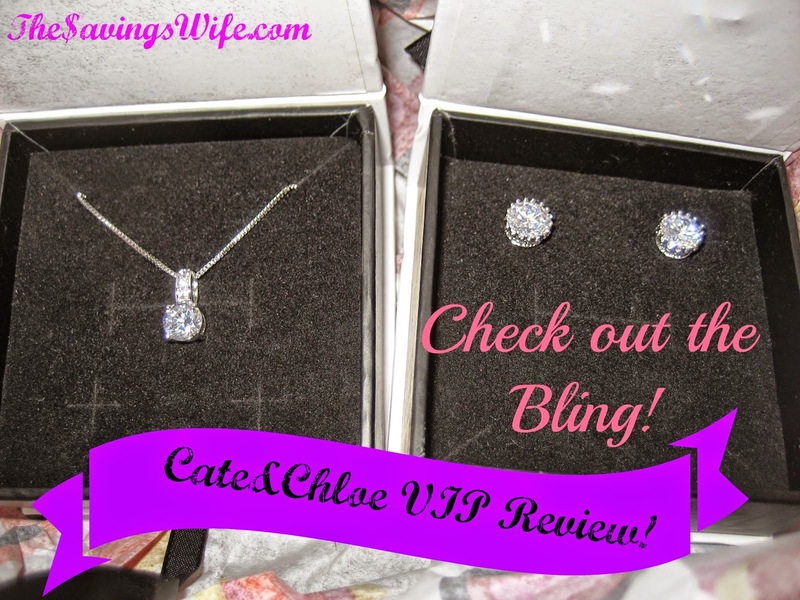 Cate & Chloe Jewelry Review! With the cost of the VIP service being $40 I was not expecting to get anything I would like honestly. I was very surprised at the quality of the Jewelry when it arrived. So much so I wrestled with my decision to use it in the Silent Auction. Both the pieces went for more than than than what the monthly cost would be. They was also a bidding war by two people I consider to be very posh dressers. They are always dressed in style and both wanted these jewelry pieces. This necklace I would wear anywhere. It is the perfect size for a mom's night out or just because I want to wear it day. I love the detail with the flowers and the chain looks super strong. It matched my favorite bracelet, another reason I didn't wanna let this one go. The earrings are Cubic Zirconium but look a lot like the real thing. These were a little large for my personal taste but would be great for a special day. They are silver plated so don't wear them in the shower. The setting is also beautiful and delicate. They both came in cute little jewelry boxes. Wanna give the Cate And Chloe VIP Box a try? Sign up for the VIP service on the Cate & Chloe website! Don't forget to check out the giveaway below to win your very own box from Cate & Chloe!